Throughout history, swamps have been idealized and demonized, purged and protected. They are considered to be places of evil, pestilence and death, as well as diverse ecosystems teeming with life. They can be obstacles to development and remnants of fading cultures. Distillations of pure wildness, with menacing morasses and fragile wetlands, swamps have fascinated, terrified, frustrated and sustained us throughout human history. From swamps and bogs to marshes and wetlands, Swamp ventures into the cultural and ecological histories of these mysterious, mythologized and misunderstood landscapes. It ranges from the freshwater marshes of Botswana’s tremendous Okavango Delta, to the notable swamps between the Tigris and Euphrates rivers and the peat bogs in Russia, the British Isles and Scandinavia. 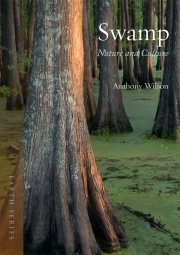 It explores ideas and representations of wetlands across centuries, cultures and continents, considering legend and folklore, mythology, literature, film and natural and cultural history. 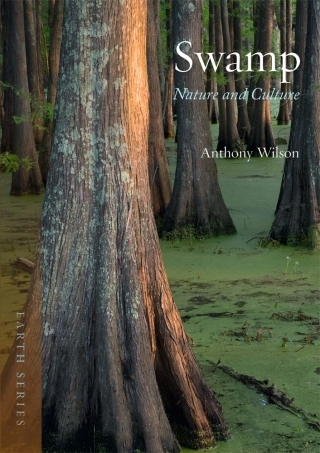 As it plumbs the murky depths of their complex relationship with people all over the world, from the distant past to the uncertain future, Swamp provides an engaging, accessible, informative and lavishly illustrated journey into these fascinating and mysterious landscapes. Anthony Wilson is an Associate Professor of English at LaGrange College in LaGrange, Georgia. He is the author of Shadow and Shelter: The Swamp in Southern Culture (2006).